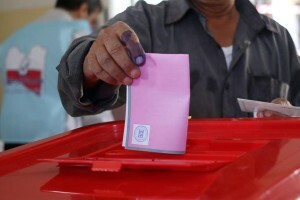 Some diplomats in Libya think that the elections should be postponed for at least a month to enable better preparations. People are hoping that the elections will bring an end to the tensions in the country but some believe that it will only lead to the election of another temporal body. Al-Sayeh said “the commission has finished the last preparations of the elections” and 1601 polling stations will be around the country. 1628 candidates will be competing for 200 seats of which 32 have been allocated to women. However, a western diplomat under the condition of anonymity hinted that “there will be challenges to open polling stations in some places in the east and south” and the aftermath of the elections remain unclear. The challenges are daunting. Libya’s government and parliament are deadlocked, militias and tribal groups hold sway over parts of the country and a renegade general has launched his own campaign against Islamic militants in the east. Al-Sayeh said there are “positive indications” that voting will be held nationwide although the turnout is expected to be low if compared to the 2012 elections. The Amazighs have decided to boycott the elections unless they have a stronger say in the commission drafting the constitution. Posted by Hafid El Fassy on June 19, 2014. Filed under News. You can follow any responses to this entry through the RSS 2.0. You can skip to the end and leave a response. Pinging is currently not allowed.